This is similar to a design I was trying to conceive. 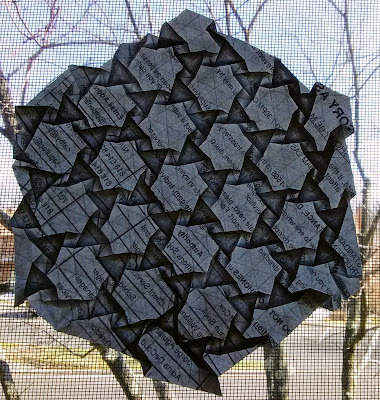 Almost identical, except my hexagons were smaller. It's a typical flagstone that uses triangles on the backside to 'push' the front twists together. Flagstone tesses result in beautiful backlit pictures. They create optical illusions of three dimensions. The front and back also present very different patterns. What's interesting about flagstone tessellations is that they are pretty different from standard tesses. 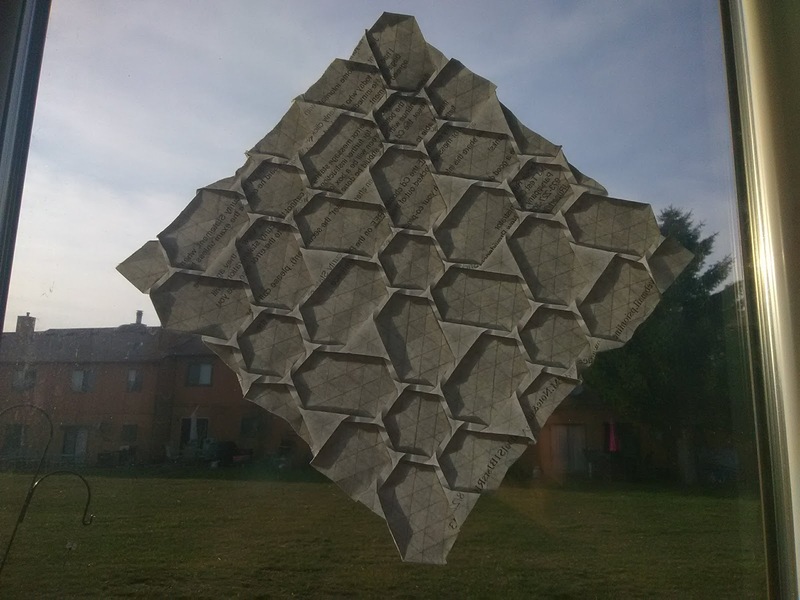 Even if you're familiar with the spread hex or other like designs, the flagstone genre is a unique variaation that will require you to learn new techniques in order to fold it. 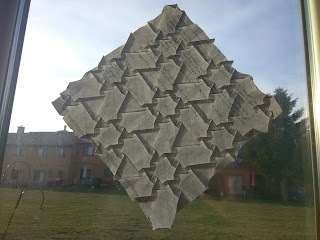 Typical tessellations are folded a few pleats at a time and flattened as you go. It's a progressive, linear process. For a flagstone the easiest way is to sure up all the creases and then unfold. 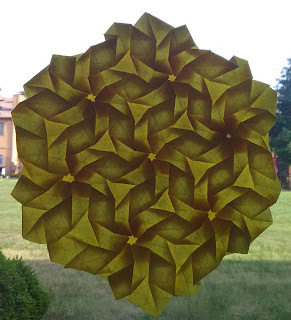 Refolding/collapsing in clusters of single modules using your previously reinforced folds. 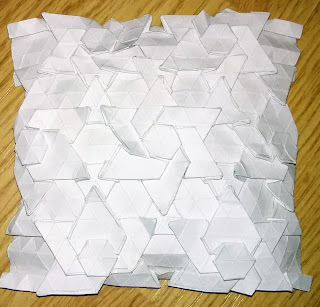 It's a technique that opens up a whole new range of complex single sheet origami designs well worth exploring.